Zoom is an online video conferencing service provided at the University. It enables our staff and students to have high-quality face to face and interactive meeting with their remote partners. It provides you with new teaching and learning experience through video conference, audio conference and screen-sharing tools. Since the launch of the service, about 700 meetings has been carried out and more than 2,800 users have either organized or joined in various online meetings and teaching activities via Zoom. We have received a lot of positive feedback. You can use a desktop, laptop computer (Windows & Mac OSX) or other mobile devices (iOS & Android) to join a meeting. You can also invite non-UM member to participate in your Zoom sessions. The only equipment needed to connect Zoom is a computer, mobile or tablet with camera and microphone. Zoom is ideal for online classes, meetings, interviews, oral defense, webinar and other special events. Screen Sharing – Share your desktop, web pages, documents, photos, videos, or specific application windows with annotated features for presentation and increase the interaction needs of the meeting. Raise Hand Feature – If you want to ask questions, the host can perceive the attendees’ needs. Waiting room – It’s helpful to arrange the online interview as you can control when a participant joins the meeting. All UM Staff and Students can get a Zoom basic account on ICTO Account Information Page at https://account.icto.umac.mo. You can login your Zoom basic account with your UMPASS ID and password. ICTO also provides various accounts to cope with different needs, please see the table below. All accounts allow up to 100 participants to join a video conference at the same time. For sessions of over 100 participants you can request a Webinar account. 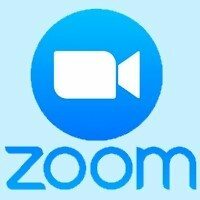 Go to https://zoom.us/download and click Download to install the Zoom client for Windows or Mac. For Android, please visit Google Play to download the Zoom application. For iOS, please visit the Apple App Store to download the Zoom application.